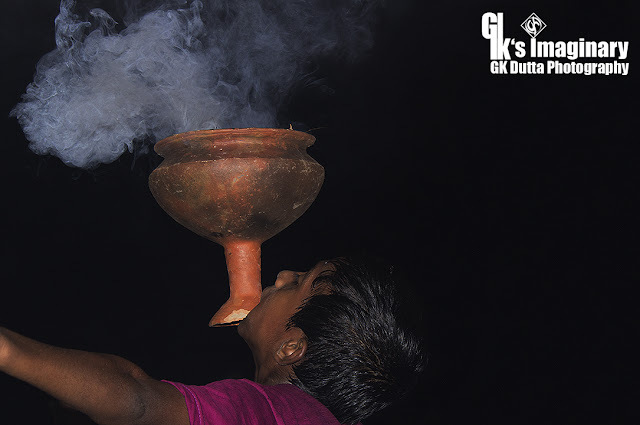 GK Dutta > PHOTOGRAPHY > AARTI…! Aarti (Hindi आरती),(Tamil ஆரத்தி), also spelled arathi, aarthi (from the Sanskrit word “आरात्रिक” with the same meaning) is a Hindu religious ritual of worship, a part of puja, in which light from wicks soaked in ghee (purified butter) or camphor is offered to one or more deities. Aartis also refer to the songs sung in praise of the deity, when lamps are being offered.